My daughter interviewed me for a school project, and we talked a lot about cameras… specifically, the cameras I’ve used and owned. So here’s a quick visual guide to the cameras I’ve owned. 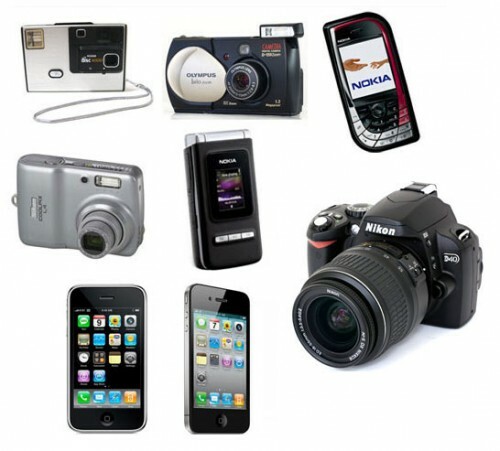 Kodak Disc Camera, Olympus D150, Nokia 7610, Nikon Coolpix L4, Nokia N75, Nikon D40, Apple iPhone 3G, Apple iPhone 4S. Posted on Thursday, February 16th, 2012 at 6:00 am. Subscribe to the comments feed. Both comments and pings are currently closed. Post on your own blog.